We know you are busy so we wanted to gather our resources to share with you. Here are lists of our favorite books and resources. They are categorized for you so it is easy to find just what you are looking for. If you have questions or want more ideas, please reach out. We are happy to help! The relationship between parent and child is crucial to their development and we know how challenging parenting can be. Here are some of our favorite books that are focused on parenting. Supporting and guiding children that are strong-willed may require specialize parenting techniques. Here are some of our favorites that help build understanding into their amazing qualities and strengths and how to best support them. Navigating loss is difficult. Here are some of our favorites that provide insight into how a child grieves and their needs during this time. Now that they are older, you’re probably wondering “what works now?” Well, that’s a great question. This is a time where they are creating independence and learning about themselves. Here are some of our favorites to help understand what they are facing and provide some guidance on how to best parent your teen. Knowing what to say or how to support your child through divorce can be daunting. Here are some great books that address divorce. It can be hard to explain grief to children. Here are some great books that we recommend to help your child process these difficult feelings. Here are some of our favorite books to help children navigate socially and address bullying. Here are some of our favorite books to facilitate appropriate behavior. Going through a divorce or separation is difficult and even more challenging if you have children. Here are some recommendations to support you through this process. Some are specific to co-parenting, which is helpful for co-parents to read together to assist in applying co-parenting skills. Here are some of our favorites on building relationship skills. Healing after an affair can be difficult. Here are some great resources. Navigating loss is difficult. Here are some of our favorites that provide insight and support for grief. Therapeutic Fidget Tools, Not Just a Toy! Fidget items can serve a valuable purpose and are appropriate for both children and adults. 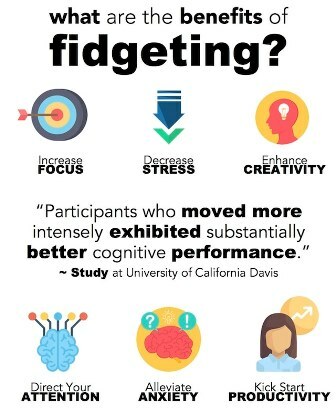 We have found that fidgets help our clients self soothe and focus in counseling sessions. We would like to provide some options for you that we have found effective.